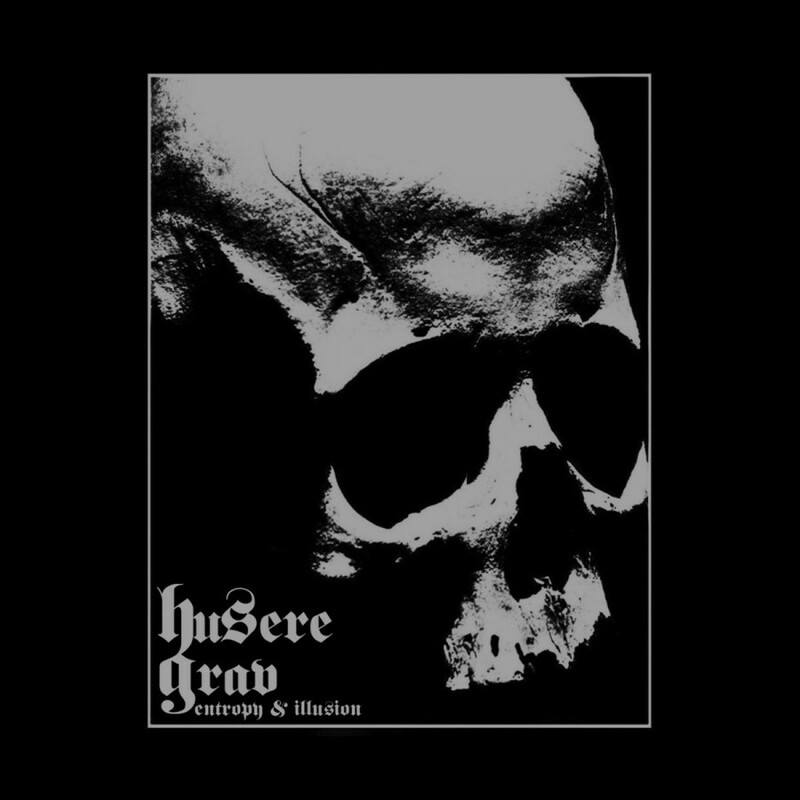 Husere Grav is a black ambient project that has been making its rounds through the darker underground musical scenes for the last decade. Their sound takes on the form of a blackened meditative ambient session. Focus on harsh sweeps of sound texture fill the music with a doom and gloom element which saturates ever inch of itself. Their latest album, Entropy & Illusion has made its release on the highly respected Annihilvs Power Electronix (APEX) label. Annihilvs has spent two decades now creating albums which are as dark and disturbing as they are beautiful. Orchestrated by the man behind Theologian, often referred to as Theologian Prime, Annihilvs has a relatively small, but highly influential discography. So when the latest album by Husere Grav released on Annihilvs, it is safe to say that they found a good amount of attention from those with the more harshly inclined palates. Entropy & Illusion has been compared to the early works of Jarl, which seems a fitting association. The sounds are dense, dark and ugly. But the production is deliberate and precise. The album, even considering its thick and harsh characteristics, takes on a meditative element. The listener can sit back, eyes closed, and allow the textures to overtake their consciousness. Each track brings them a bit closer in touch with this dark and menacing spirit world. While I do refer to this album repeatedly as being on the harsher side of the ambient spectrum, it rarely, if ever, moves into that dreaded harsh noise wall territory. The sounds manage to keep their composure and build slowly off of one another, creating a setting encompassed with a sense of death and desperation, while simultaneously holding an element of beauty. If your musical tastes lie closer to the death industrial, power electronics and harsh noise wall side of the ambient world, then this album will surely be to your liking. It holds similarities to these other genres, while still keeping its roots in a black / dark / ritual ambient foundation. For fans of drone music, this will likely be a welcome album. It seems to fit into that drone ambient territory, yet has a thick and menacing lifeforce which is often lacking with those sort of albums. Released in a 4-panel digipak through Annihilvs, the quality of the physical album is noteworthy. The album art takes on a simple yet haunting setting of death and decay. Bound prisoners and skeletal remains fill the graphical designs of this album, giving listeners an immediate sense of the bleak nature of this project. The album also comes with a bonus collaboration with Theologian. A set of tracks which Theologian has re-imagined and built upon with his own unique manipulative style. I would highly recommend Entropy & Illusion to any fans of the blackened side of dark ambient. This is a fine introduction to the Annihilvs label for those few readers who still haven’t been introduced to APEX. If this album is to your liking, there are surely many more releases on APEX which should also be considered. As usual, APEX has released a noteworthy album which gets better with each listen.